As the summer season gets into full swing, a growing number of drinkers are purchasing hard seltzers, according to recent data from market research company Nielsen. Year-to-date dollar sales of hard seltzer products across the aggregate of measured off-premise channels totaled $257 million through June 16, compared to $85 million during the same period last year (and $8.5 million in 2016), said Danny Brager, the senior vice president of Nielsen’s beverage alcohol practice. Over the last 52 weeks, dollar sales are up 204 percent, Brager also shared. “[This is] still a vibrant, very fast-growing segment that very definitively seems to be hitting the mark,” he said. 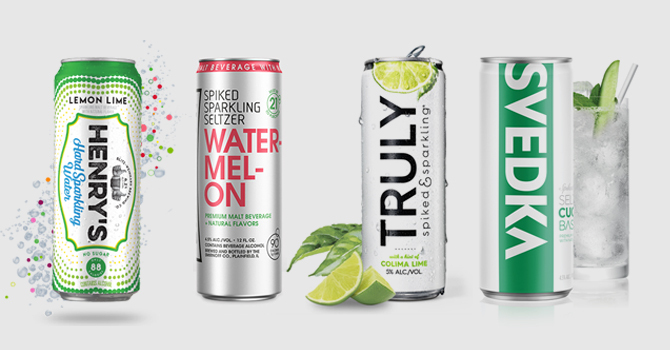 The majority of hard seltzer offerings on the market are produced by the beer category’s largest players: Anheuser-Busch (SpikedSeltzer), Boston Beer Company (Truly Spiked & Sparkling), Constellation Brands (Svedka Spiked Premium Seltzer), Diageo (Smirnoff Spiked Sparkling Seltzer), Mark Anthony Group (White Claw), and MillerCoors (Henry’s Hard Sparkling). At the time, Kashper — and others — were bullish on the potential long-term viability of hard soda, and for good reason: A product called Not Your Father’s Root Beer, which is owned by Kashper and other Pabst principals, and distributed by Pabst through its U.S. distributor network, had racked up $104 million in off-premise retail sales during a six-month span. The success of Not Your Father’s Root Beer spurred companies such as A-B and MillerCoors to develop their own hard soda lines. But when soda sales went flat, those companies shifted at least some of their focus toward hard soda’s lower-calorie cousin: seltzer. 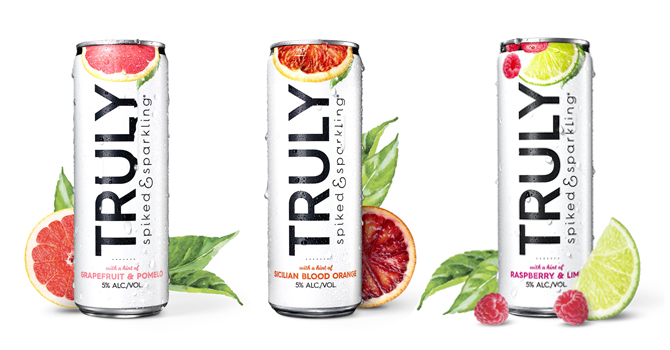 White Claw, Truly, and SpikedSeltzer are the largest hard seltzer brands in the U.S., Brager said, and all three are growing triple digits. Collectively, they control about 90 percent of the hard seltzer market, he added. And while the widely distributed hard seltzer offerings from the country’s largest players might currently dominate the majority of retail shelf sets, at least two smaller New England-based brands – Nauti Seltzer (owned by Wachusett Brewing) and Briggs Hard Seltzer – are pinning their hopes on consumers looking for a premium or local option. Meanwhile, Nauti Seltzer, which earlier this year introduced a rosé flavor, has focused its distribution efforts on the New England market, including Massachusetts, Connecticut and Rhode Island. McMahan attributes the growth of hard seltzer, in part, to the continued success of non-alcohol products such as LaCroix, Polar or Spindrift. So who is buying all of this hard seltzer, and where is the category sourcing its volume? McMahan –who believes consumers look at product quality, nutritional facts and packaging when determining which seltzers to buy — said that health-conscious consumers are driving much of the purchasing. And he’s also heard from numerous distributors that hard seltzer is growing at the expense of large light beer brands — Bud Light, Coors Light and Miller Lite – all of which are in decline. “Everyone feels like domestic light is the number one source of volume,” he said. 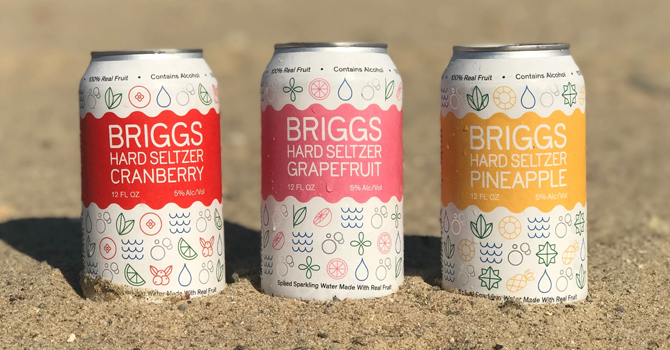 For his part, Briggs co-founder Neil Quigley said even though many believe hard seltzer’s target consumer is a younger female in search of a beverage with fewer calories, the reality is that “anyone who can taste” buys into the category. “I don’t think this trend is going away anytime soon,” McMahan added. Meanwhile, Brager, who said hard seltzer’s important summer selling season “seems poised for very strong growth versus last year,” is taking more of a wait-and-see approach before making predictions about the potential future size of the market. “My guess is that the better test for long-term growth potential might be to see where next year lands, compared to this one,” he said.